Welcome to National University – NU Masters Professional Admission Circular 2019 Apply Online. 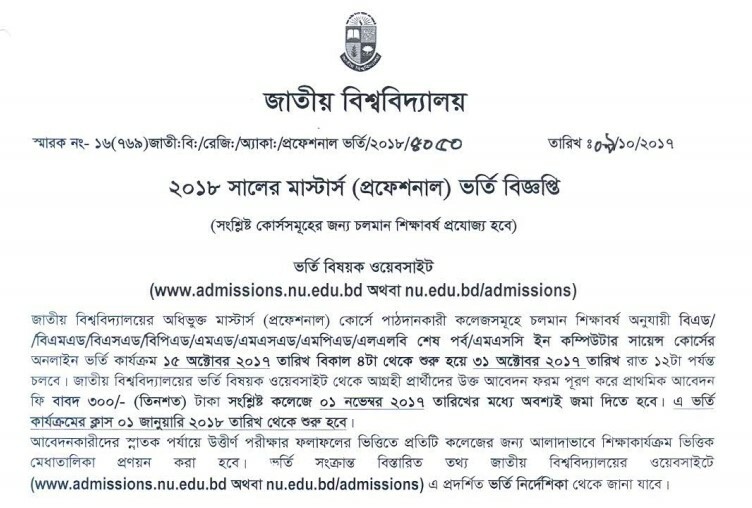 In the month of 12th October, 2018 the National University authority published the NU Masters Prof Admission Notice 2019 in their official website www.nu.edu.bd. In this content, we will provide you, how to apply NU Masters Professional Admission on Online, NU Masters Professional Admission Result 2019 Merit List, National University Masters Professional Admission Result check Online System and National University Masters Professional Admission Result check by SMS Process. So, stay with us and follow the below content. In Apply NU Masters Professional Course, Candidates have to Passed 3 Year Degree or 4 Year Honors course. But Candidates who Served Any Service like as a job, His/Her Educational Requirement will be unbound. To Apply M.ed, Candidates have to Passed B. Ed. Apply MS.Ed Candidates have to Passed BS.Ed / B. Ed. For Apply LLB Final Year, Candidates have to Passed LLB 1st Year. Are you searching How to Apply National University Masters Professional Admission 2019 Online? If your answer is yes, no tension. This system is very easy. Just, follow and do it. First, go to the National University official website by clicking www.admissions.nu.edu.bd or www.nu.edu.bd/admissions Link. After entering the official website, interested Candidates need to click Masters Tap and click the Masters Professional (Apply Now) Button. Then, you need to enter previous exam details information and click on Next button. Fill all necessary information and submit application form with Upload 120×150 Pixel Colors Photo. Then, Print the Application form and submit your favorite University. When the National University Authority published the NU Masters Professional Admission 2019, we update instantly here. The National University Masters Professional Course B.ed, BP.ed, BM.ed, BS.ed, M.ed, MS,ed and LLB 1st Year 2019 Admission Result will be published in November last week, 2019 at 4.00 PM by SMS System and 9.00 PM by Online Process. If you interested to know how to check NU Masters Professional Admission Result 2019 by Online and SMS, just read the next two paragraphs to get a clear idea about it. 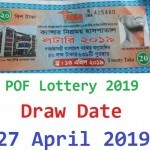 The most popular and easy way to check NU Master Result 2019, which name is an SMS System. If you want to check NU Masters Professional Admission Result 2019 by SMS, just follow the below SMS format and send to 16222. The main important question of all the NU Masters Examine, how to check National University Masters Professional Admission Result 2019 Check by Online fast and free. No tension, the http://technewssources.com provides you, how to check Masters Admission Circular Result 2019, when it’s available. Thanks for staying with us a long time and visiting National University – NU Masters Professional Admission Circular 2019 Apply Online content. If you have any question about the NU Masters Prof. Admission 2019, just comment here. We reply as soon as possible. National University (NU) Honors Admission Release Slip Result 2016-17 Check Online www.nu.edu.bd. Next: Diploma in Agriculture, Fisheries & Livestock Exam Form Fill Up Notice 2019 – www.bted.gov.bd.